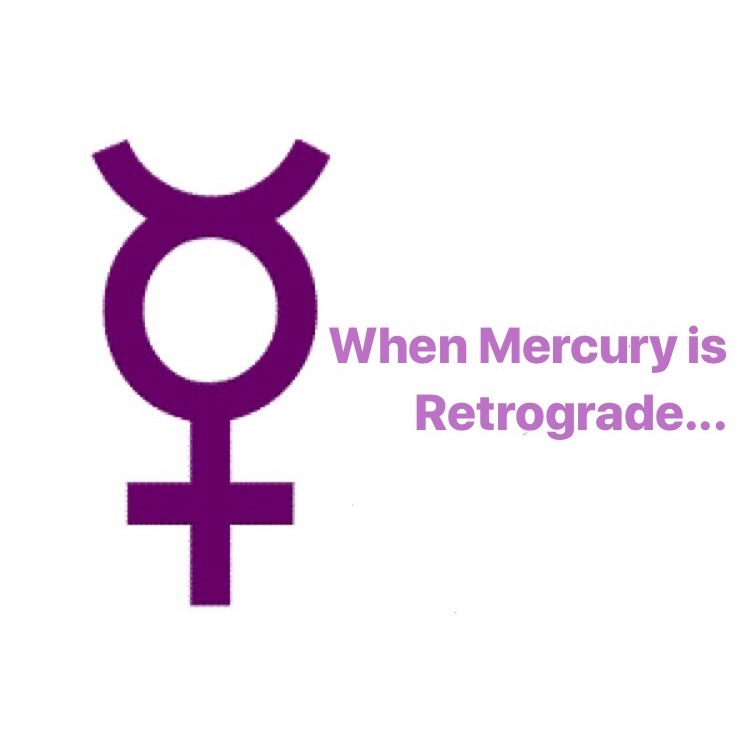 When Mercury is in Retrograde... Mercury Retrograde March 2019. Today Mercury is officially retrograde. Mistakes, miscommunication, and misunderstandings are more likely during the time of Mercury Retrograde. Mercury is the planet of commerce and communication! Make sure to dot your i’s and cross your t’s! Double check the emails your sending, make sure your car is running well, double check those flights you’re booking, have clear communication with others regarding personal and/or business, make sure your computer/harddrive is backed up, and double check them account statements.. make sure them checks don’t bounce!! When Mercury is retrograde the planet is slowly moving the opposite direction so it’s not the best time to start new projects (unless they’ve already been in motion), but it’s a great time to study/plan/research. Mercury goes direct March 28th! Visit naturalmuurmaid.com/readings to book your Astrological Reading today!